The Thoracic Spine Reach Exercise stretches and helps to improve mobility in your torso, specifically your thoracic spine – your middle and upper back. Thoracic spine mobility is an extremely important, and often times overlooked, component of a great golf swing. Poor thoracic mobility can very easily lead to pain and increase the potential for injuries in the shoulders, neck, lower back, and hips. Unfortunately, our daily habits and posture make us all very prone to poor thoracic spine mobility. The Thoracic Spine Reach Exercise forms part of the Golf Mobility series of innovative and dynamic exercises that will help to improve your joint and muscle mobility, improving your range of motion while increasing functional strength within the entire range of that motion – thus helping to prevent injuries and building the foundation for a consistent, accurate, and powerful golf swing. Figure 1. Tennis Ball Peanut. 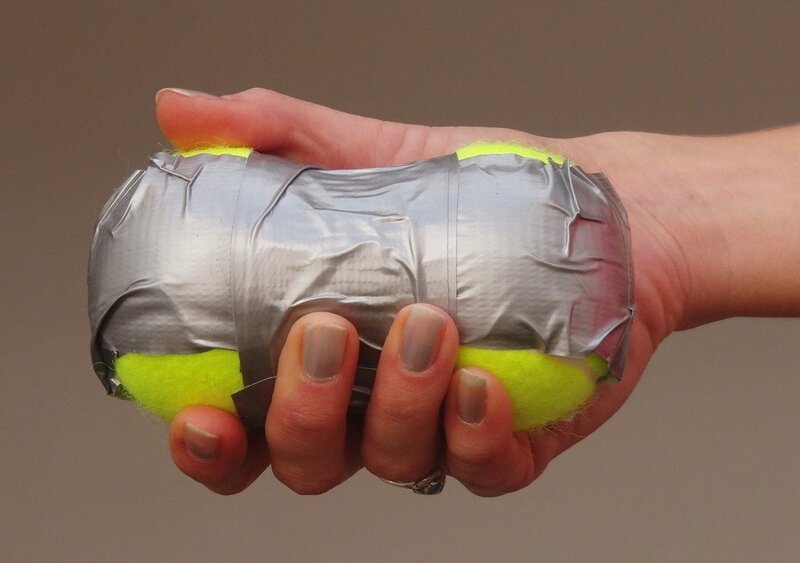 This exercise requires a “peanut” made by taping two tennis balls together – see Figure 1. Figure 2. Thoracic Spine Reach Exercise Video. Start by lying on your back with the peanut (see above) under your spine, just above your lower back, and your hands out straight above you. Slowly lower your straight right arm and reach out over your head. 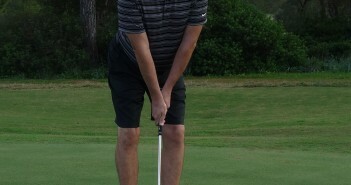 Slowly return to the starting position and repeat with the other arm. Repeat for 3 or 4 repetitions with each arm. Move the peanut up your spine by one vertebral segment and repeat. Continue moving the peanut up and repeating until the peanut is just above your shoulder blades and below the baser of your neck. Keep your abdominal muscles engaged and do not allow any movement in your lower back or hips throughout this movement. This may be a little painful at first, it’s like getting a deep sports massage in your middle and upper back. As your mobility improves it will become easier. The Thoracic Spine Crunch Exercise is great for keeping your spine mobile and helping to reduce stiffness in your back. Spine mobility is crucial for a good golf swing. 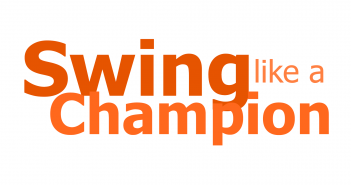 It enables you to maintain proper posture throughout the swing, and to rotate your body safely and efficiently. Developing poor posture or stiffness in your back will reduce your ability to rotate properly and will alter your swing mechanics, leading to faulty swing patterns and increased risk of injury. This exercise mainly involves your erector spinae and your abdominal muscles.